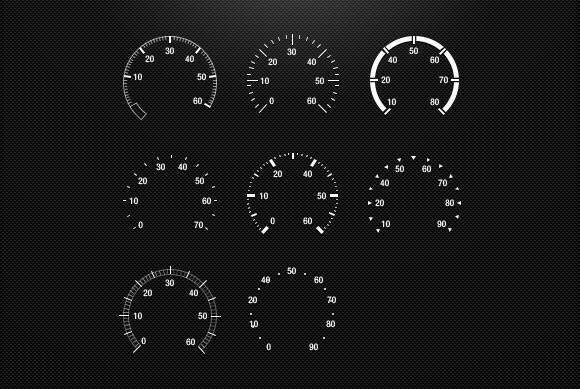 Designed by Adrien Olczak, here comes a set of 8 car style speedometers. This project contains a level of representations that is a work of progress. This PSD freebie is available for download at dribbble.com. If you are looking for more designs, work, and projects, Dribbble is the place to be. In the link, you’ll find the download source for the free PSD and a preview of the set. It already has 11, 126 views, 273 likes, and 58 saves. Plus, it dons a color palette with shades of black to grey. Feel free to share and download anytime. Make sure to include an attribution link back to the source. Enjoy!